Networks make shows to make money -- now more than ever. So this list isn't based on quality, although most of the chosen few are Emmy caliber series as well. What we're mainly looking at is the financial impact of these shows on both their networks and the overall prime-time terrain. In some cases they made rival networks richer as well, because good ideas are bound to be imitated. This list will be limited to the broadcast networks, with a collection of cable's elite coming later. 10. Deal Or No Deal (NBC, 2005 -- ) -- Sometimes you just need a show to keep the lights on, particularly if you're GE-owned NBC. In otherwise dismal times for the Peacock, Howie Mandel's open-and-shut cases continue to be reliable ratings-getters no matter where they're plugged in. Deal also is perfectly suited to an increasingly dumbed-down America. Never has a game show made brain power so beside the point. It doesn't take a rocket scientist, though, to know that the Peacock would be plucked without germ-phobic Howie and his 26 angels. 9. Gunsmoke (CBS, 1955-75) -- The longest-running prime-drama in TV history also put the western genre on the map. There were next to no cowboy hats in prime-time when a then unknown James Arness first rode into view as Marshal Matt Dillon. But two seasons later, Gunsmoke had plenty of company when it began its four-year run as TV's most popular series. Four other Westerns joined Gunsmoke in the 1957-58 season's Top 10. By the following year, there were an astonishing 12 horse operas among prime-time's 25 most popular series, including six of the top seven. But no western series or star have ever been taller in the saddle than Gunsmoke and Arness. 8. Dallas (CBS, 1978-91) -- Prime-time serial soaps had fared poorly until the filthy rich Ewings came along. Dallas kept much of the nation home on Friday nights, with Larry Hagman's oily J.R. Ewing vying with sportscaster Howard Cosell for the title of TV's preeminent love-to-hate character. Dallas spawned two other like-minded hits, Knots Landing and Falcon Crest, on CBS. It also was slavishly imitated by ABC's Dynasty. But 1980's "Who Shot J.R.?" Dallas cliffhanger remains a legend unto itself. Without benefit of cable news networks or entertainment rag mags, it sparked an international guessing game that's never been surpassed. 7. Who Wants to be a Millionaire (ABC, 2000-02) -- The godfather of modern-day, big-money game shows hoisted downtrodden ABC on its back and carried the network for two seasons before quickly burning out from too many airings and gimmicks. But no show is every likely to equal Millionaire's all-powerful clout in the prime-time ratings. In the 1999-2000 season, its Tuesday, Thursday and Sunday editions respectively ranked one, two, three among all network shows. And in the following season, Millionaire held down the third, fourth, eighth and 11th spots. Host Regis Philbin's catchphrase -- "Is that your final answer?" -- continues to reverberate while Millionaire endures on a smaller daytime stage with Meredith Vieira in charge. 6. Monday Night Football (ABC, 1970 -- ) -- Few except ABC sports president Roone Arledge thought the country was ready for this. 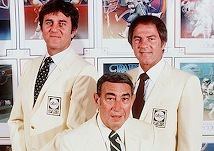 But it was, and Monday nights were never the same after Howard Cosell and Don Meredith mixed it up in the booth during Monday Night Football's key formative years. ABC opened every fall season with MNF entrenched until finally punting it in 2006 to sister cable network ESPN, where it's continued to thrive despite the presence of some less than scintillating announcing teams. NBC also is prospering with its new Sunday Night Football series, which MNF preordained by packaging the pro game as both an entertainment spectacle and what's turned out to be prime-time's longest-running reality series. 5. 60 Minutes (CBS, 1968 -- ) -- Turning 40 on Sept. 24th, it keeps tick, tick ticking as the longest-running prime-time series of any kind in network TV's 62-year history. For better and often for worse, every subsequent "news magazine" series owes its existence to CBS' longstanding hour of power. 60 Minutes proved that news could draw both big audiences and make even bigger piles of money. Its grand inquisitor, Mike Wallace, remains with the show as a part-time contributor after establishing himself as TV's unlikeliest of leading men. Without him on the prowl, 60 Minutes might well have had a far shorter life span. It's now impossible to imagine CBS without its Sunday night timepiece. 4. CSI: Crime Scene Investigation (CBS, 2000 -- ) -- Initially slotted on Friday nights, CSI simmered on CBS' back burner during a fall season launch in which far more promotional muscle was devoted to a new version of The Fugitive and the Bette Midler sitcom Bette. We know how that went. 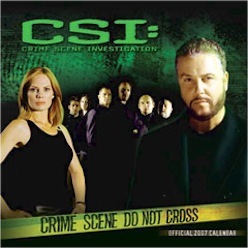 Seven seasons later, CSI defines the CBS schedule. It has two hit spinoffs set in Miami and New York. And its "procedural," mostly close-ended crimesolving also is a template for like-minded CBS series such as Without A Trace, Cold Case, NCIS, Criminal Minds and Numb3rs. In tandem with the Suvivor franchise, CSI also built Thursdays into a ratings powerhouse for CBS, dethroning the long-dominant NBC. Not only that, its reruns play exceedingly well, too. What more could a network want? 3. I Love Lucy (CBS, 1951-61) -- Every funny, high-caliber sitcom in TV history, from All In the Family to Seinfeld and beyond, owes a debt to the genre's architect. 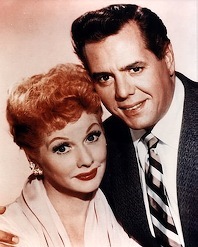 I Love Lucy, premiering in the medium's dawning days, spent five seasons as the nation's most popular prime-time show. In the 1952-53 season, a staggering 67.3 percent of all TV sets were tuned to Lucille Ball and Desi Arnaz at their appointed hour. Her physical comedy and his patented blowups led most episodes to their climactic soft, gooey centers. It never got old, and hasn't to this day. Lucy is television's undisputed rerun queen, still turning a profit for whatever network is smart enough to play along. 2. 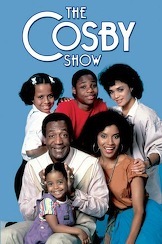 The Cosby Show (NBC, 1984-92) -- The sitcom was deemed nearly dead when a then last-place NBC sent The Cosby Show into the teeth of CBS' hugely popular Magnum, P.I. in fall 1984. But the veteran comic slew the mighty Tom Selleck, knocking his show from 6th to 16th place and soon off the air entirely. The Cosby Show also saved the bacon of two ratings-starved comedies -- Family Ties and Cheers -- that likewise were part of the Peacock's previously little-seen Thursday night lineup. Bill Cosby and company ranked No. 3 in their show's first year before going on a five-season run at the top of the prime-time Nielsens. Their comedy crossed color lines while also building a Thursday night NBC stronghold that endured for 20 seasons. The network made untold millions off a show that initially was seen as cannon fodder before the boom times kicked in. 1. American Idol (Fox, 2002 -- ) -- Never has a network been more dependent on a single show and its big finishing kick. Fox's prime-time ratings annually assume the fetal position for much of the fall. Then comes American Idol, decimating all in its path on multiple night runs that win their time slots among viewers of all ages, races and genders. This is the biggest cash cow in TV history, making wheelbarrows of money and also extending lifelines to struggling shows such as House. The latter was a virtual goner before Fox put the not-so-good doctor behind Idol. Talk about your mega-strength Vitamin B shots, with House now more than strong enough to be out on its own. 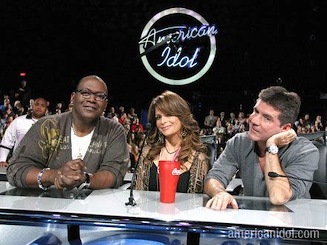 American Idol, which shows little if any sign of flagging, will keep Fox in clover for many seasons to come. It's the ultimate nightmare for rival networks, but a soothing lullaby for the one that made it its own.